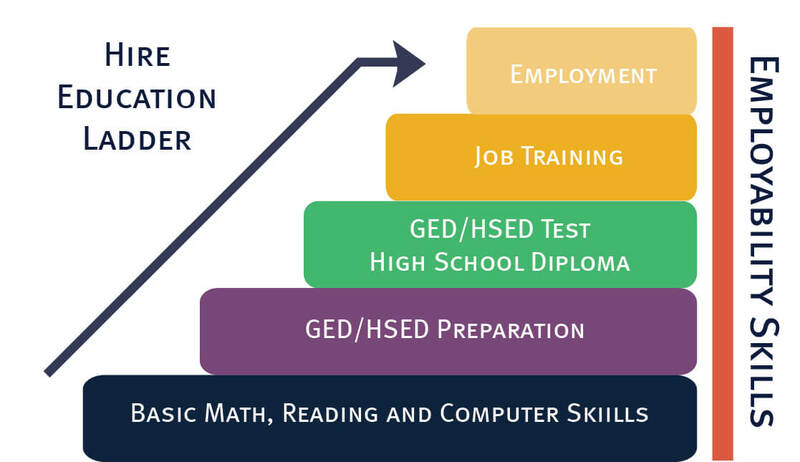 HIRE Education Employment Initiative has reached over 227 individuals helping them on their path to stable, long-term employment since April 2013. United Way’s HIRE Education Employment Initiative which benefits adults (18+) who haven’t graduated and are seeking steady employment is showing extremely positive results in the first eight months of its work. This innovative employment model is a collaboration between the Literacy Network, Omega School, Vera Court, Madison College, Centro Hispano, Urban League of Greater Madison and YWCA. “Since April 2013, HIRE has helped 227 individuals earn a high school diploma, of those over 130 individuals find stable employment, 12 pass their apprenticeship exam and even 1 participant received a promotion. Not a bad start.” says Gretchen Lowe, Community Labor Leader and Chair of United Way’s Safe Communities, Strong Neighborhoods Community Solutions Team. In the HIRE model individuals will start their journey by developing an Individual Hiring Plan which includes an assessment of their current educational level and helps them set goals that place them on the track to finding and maintaining employment. For example, individuals who haven’t received their high school diploma, will get connected with remedial and diploma preparation classes and to complete their diploma. After they have attained their diploma, they will receive training on employability skills needed to succeed in the workplace. Ultimately, they will secure stable employment. HIRE is now looking to like more employees to the participants in the program. To learn more about the HIRE Education Employment Initiative or to get involved with this work contact Angela Jones at angelajones@uwdc.org.